Ah, Cafe 202. 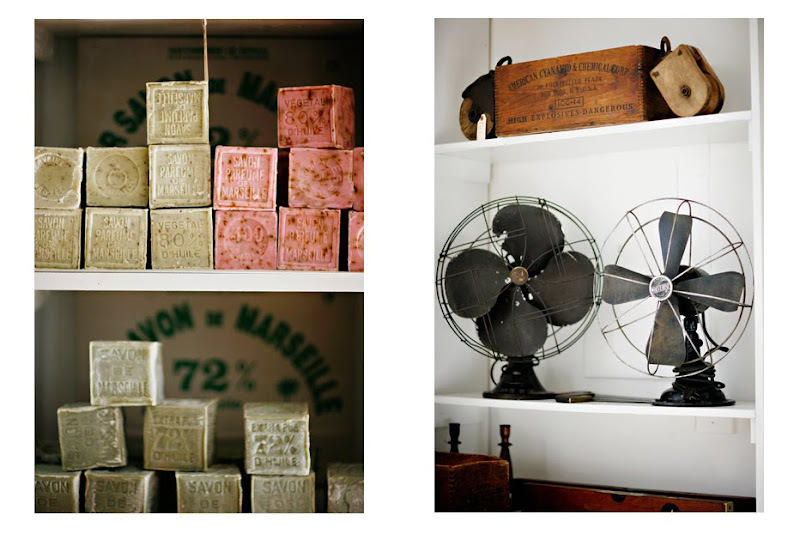 Inside the Nicole Farhi boutique, inside the Chelsea Market. 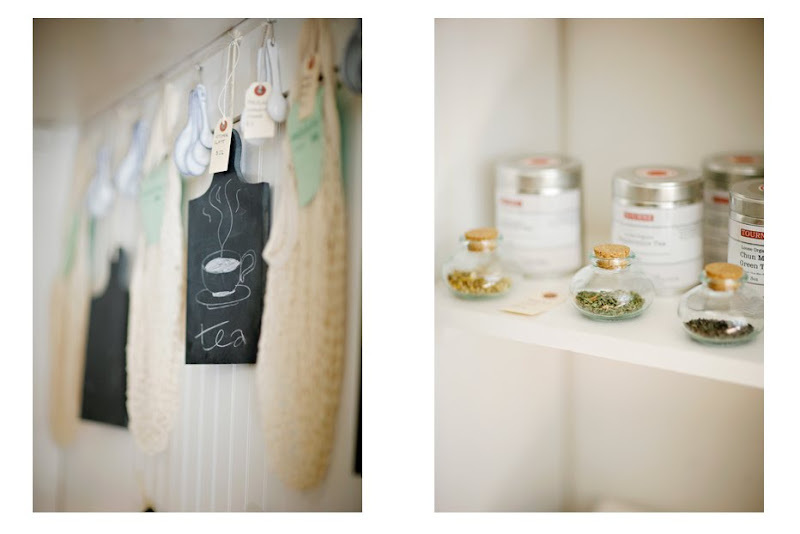 The cafe within the boutique within the market is like a breath of calm. With mismatched vintage chairs + tables, the neutral palate of pottery and clothing sat piled perfectly around us while we studied the menu. One thing for certain is that service here gets an A++. While our adorable server's name has escaped us, his sweet smile and personality have not. We got a kick out of his humor and wanted to tuck him in our back pocket to take home and hang out. The meal we both couldn't say no to was eggs on toast. What sounds simple and boring was luscious and unique. The egg whites were lighter than a feather and seemingly endless. The toast, a wheat sourdough of sorts was lightly toasted to perfection, and the sauteed mushrooms on top were earthy and good. 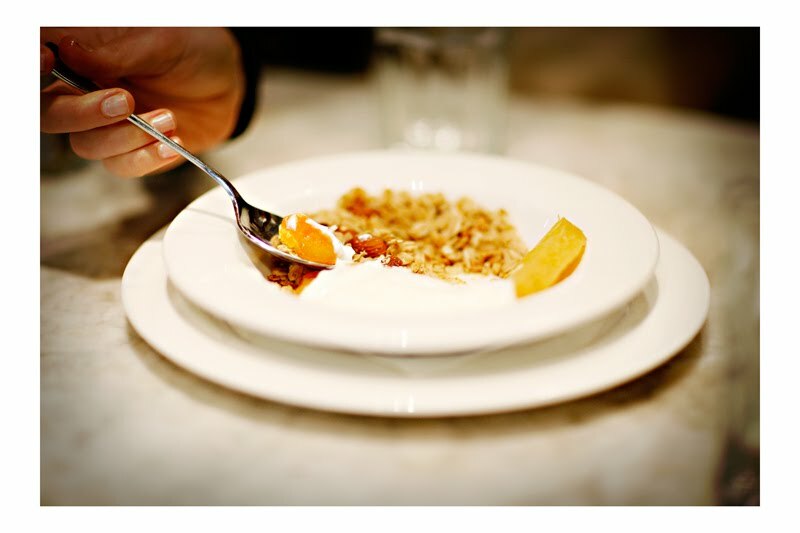 A side of granola, honey and yogurt ? Why not. Oh and the beautiful bloody ? Not ours, we were on the job ! This salad, much like the last, can be prepared with a very laissez-faire attitude. 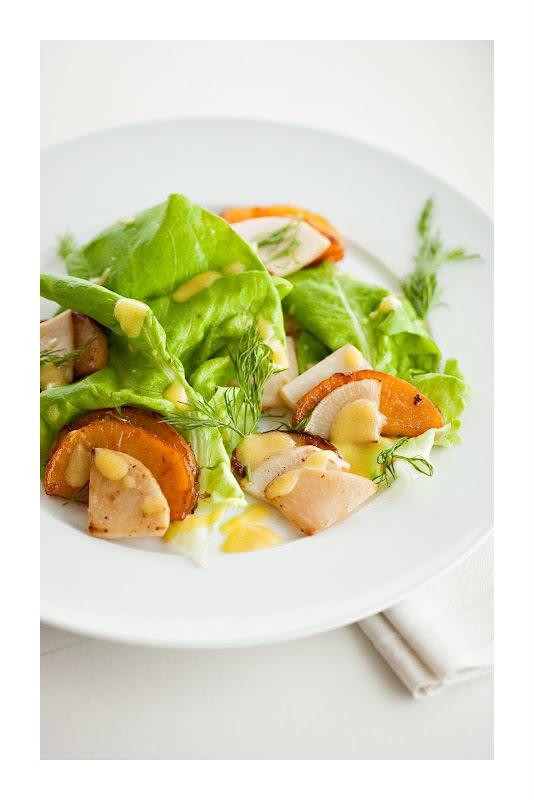 The soft butter lettuce, sweet candied rutabaga, peppery turnip and fresh dill share a plate just so for the perfect bite. We also drizzled a simple mustard vinaigrette over top. Heat a tablespoon of oil + one of butter in a skillet. Lightly coat rutabaga with agave and raw sugar. place slices in your heated oil + butter and cook for a few minutes on each side, until lightly browned. Heat another skillet with olive oil and saute the turnip slices with salt + pepper to taste. Cook until slightly softened. Arrage lettuce, rutabaga, parsnip and dill sprigs on a platter. To make the dressing combine vinegar, shallots and mustard. Add the olive oil in a slow steady stream- whisking constantly. Drizzle over your platter. Serve ! In case you aren't already familiar, Kirtsy is a website that pools popular blogposts and other online items for women, by women. They recently put together Kirtsy Takes a Bow : A Celebration of Women's Online Favorites, where editor Laura Mayes collected "top blogposts, inspirational designs, and provocative juxtapositions that bring the dynamic online world into the artful permanence of a book" (we couldn't have said it better ourselves). 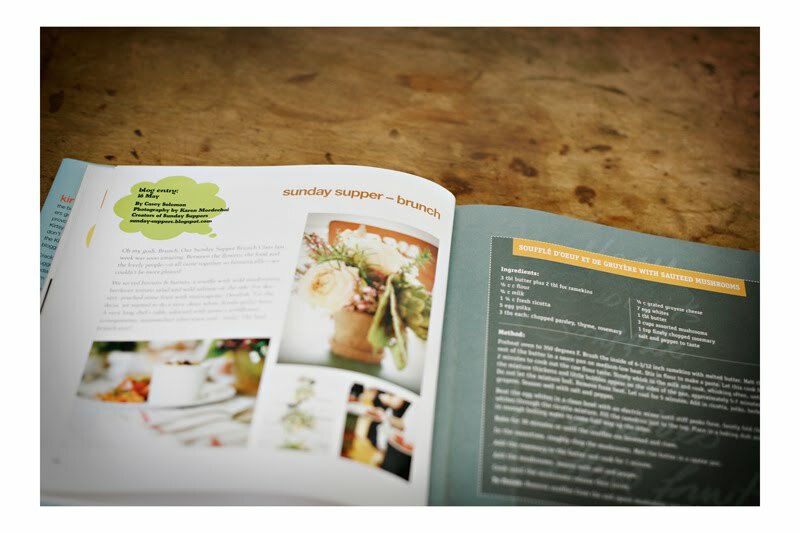 Sunday Suppers was featured for an earlier brunch, and we are so honored to be included among such talented women. You can check the book out for yourself at Amazon, Barnes + Noble, or Borders. Did anyone else open their windows a crack today, and need their sunglasses for the first time in weeks ? 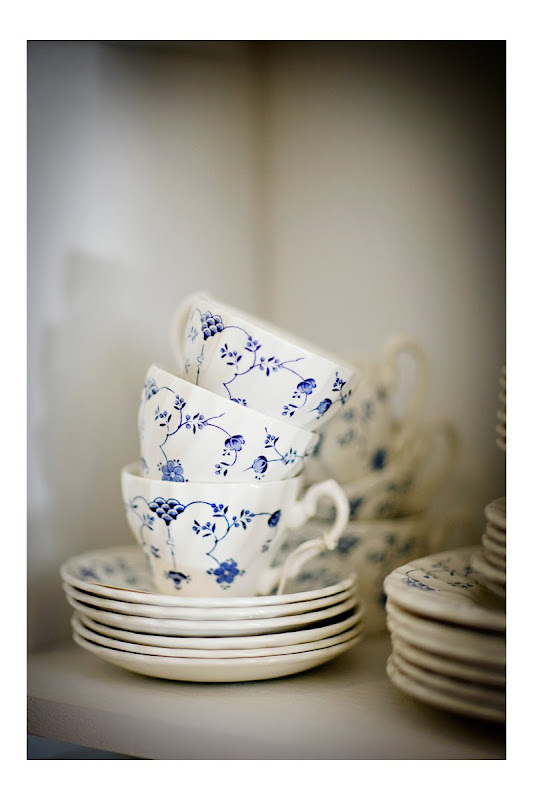 Of course it's too early to call it spring, but we like these little reminders that bluer skies are on their way. 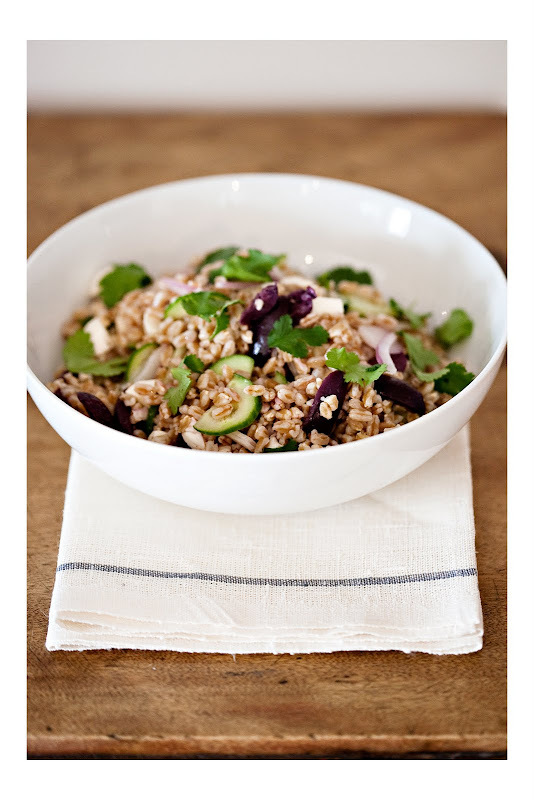 And today's sunshine seemed like a perfect match for this delicious and wholesome farro salad. We made this one very organically--a little of this and a little of that--and it came out divine. So we won't give you strict measurements here--use more of what you love and less of what you don't and you won't be disappointed. Prepare farro per instructions on the packaging. Cool, and toss in chopped cucumber, mozzarella, olives, and red onion. Dress salad with olive oil, lemon juice and salt + pepper to taste. 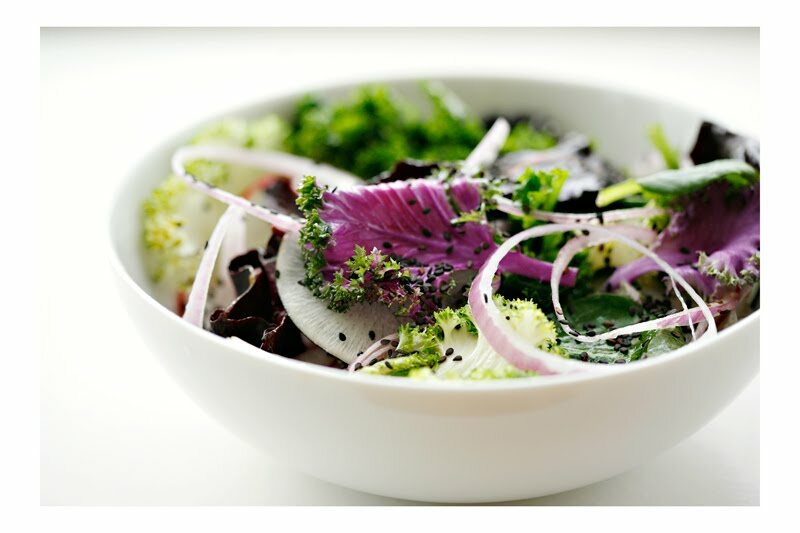 Toss dressed salad with fresh parsley leaves. Enjoy ! 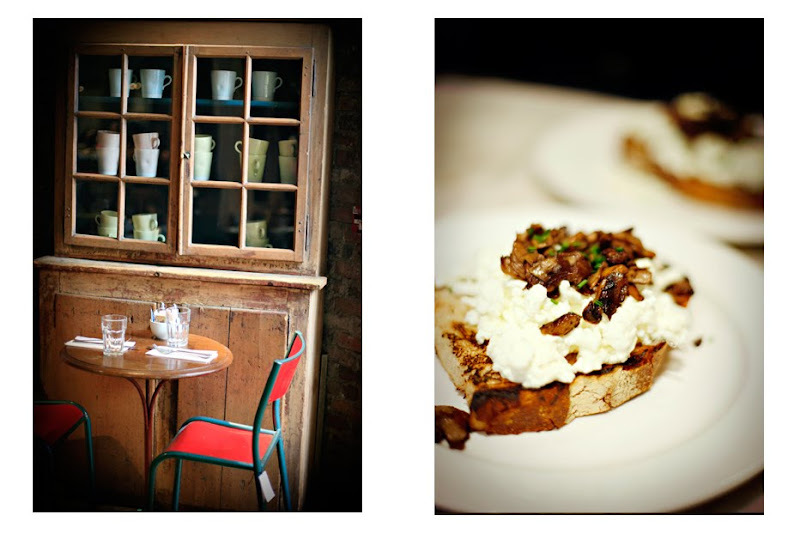 Marlow + Daughters is to Sunday Suppers as the corner bodega is to your apartment. We make pit stops here (our closest market), for missing ingredients in midday meals and our own lunches. 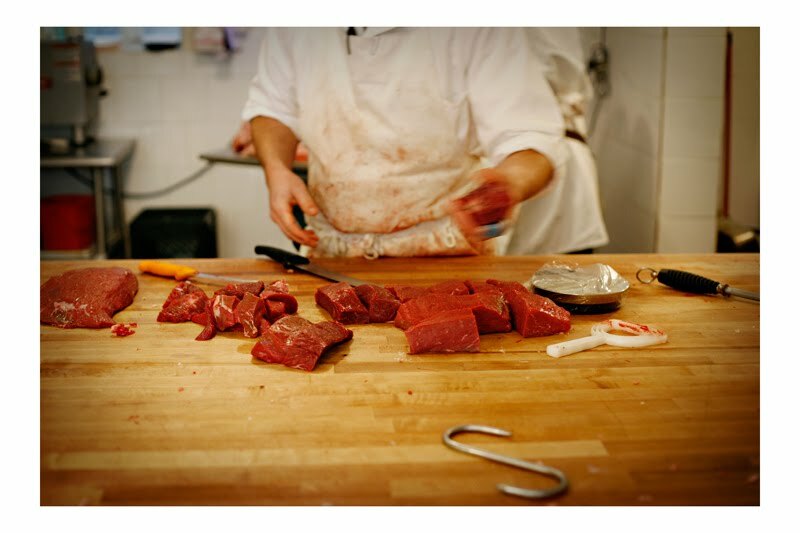 Marlow offers an interesting selections of meats (cut by the butcher 10 steps away) such as a whole skinned rabbit, or a big pigs head, to the most perfect array of market produce. 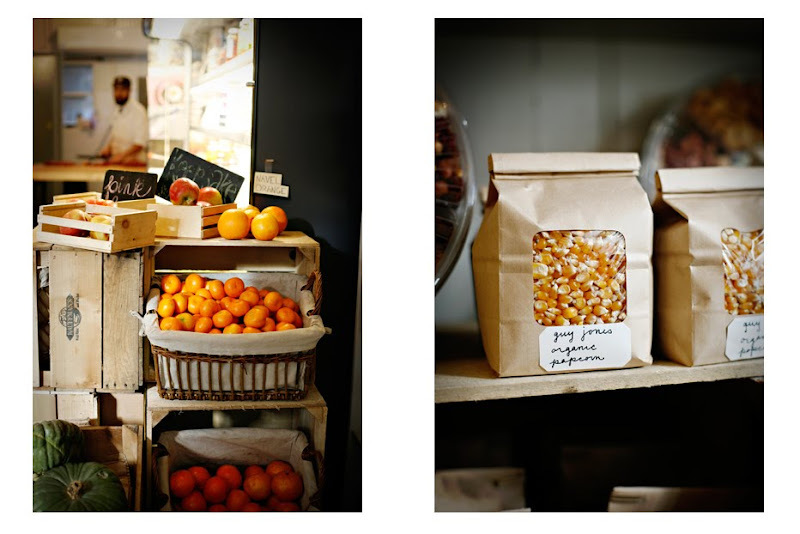 Why is their range of brining spices, candied beets, cheeses and breads so inspiring ? We’re not sure we can totally put our finger on it. 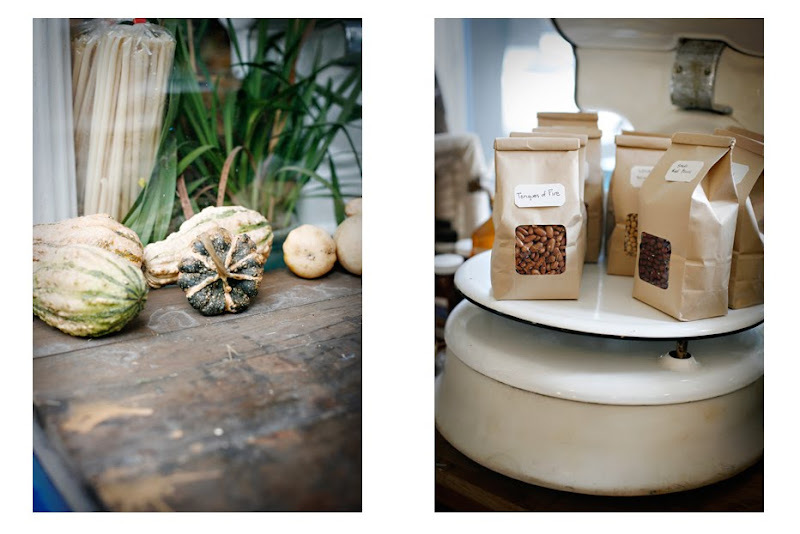 Marlow + their little Brooklyn empire is pretty darn close to perfect, from the black globe in the window, the shrunken sweater on the shop girl to the large wooden pull instead of a door knob. Check them out for yourselves at 95 Broadway. We think you’ll agree. 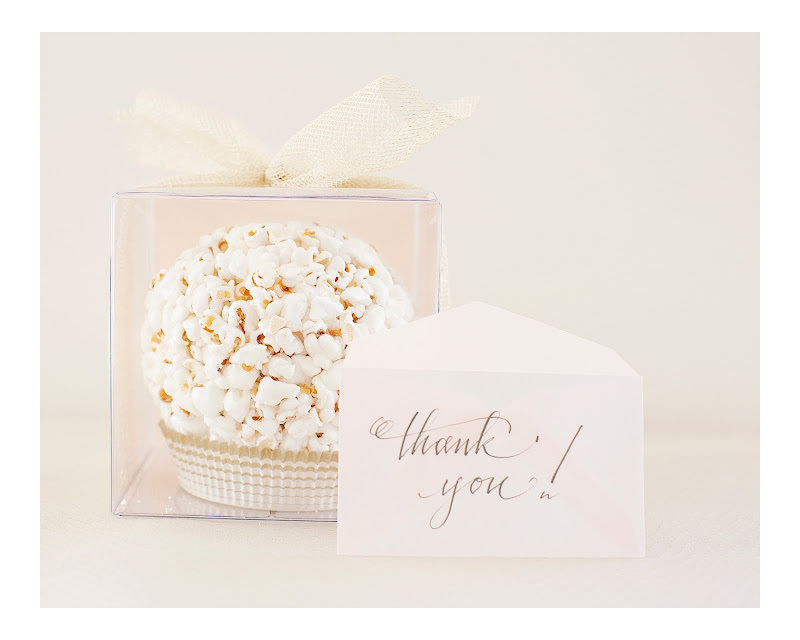 Ending our Oscar Party for the Post on a sweet note- we created these Pospcorn Ball Favors. Presented in a clear favor box, a sweet bow and calligraphy by Anna Beckman. 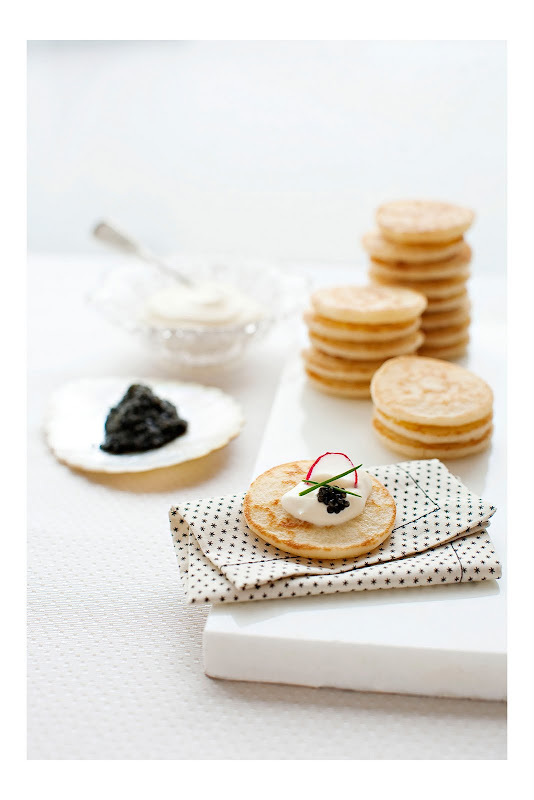 To make our event less labor intensive we bought these blinis (shhh). Then, we set up a little make your own blini bar with caviar (we used American Hackleback Sturgeon), creme fraiche, and garnishes of your choice--like chives and radish for some color pop. 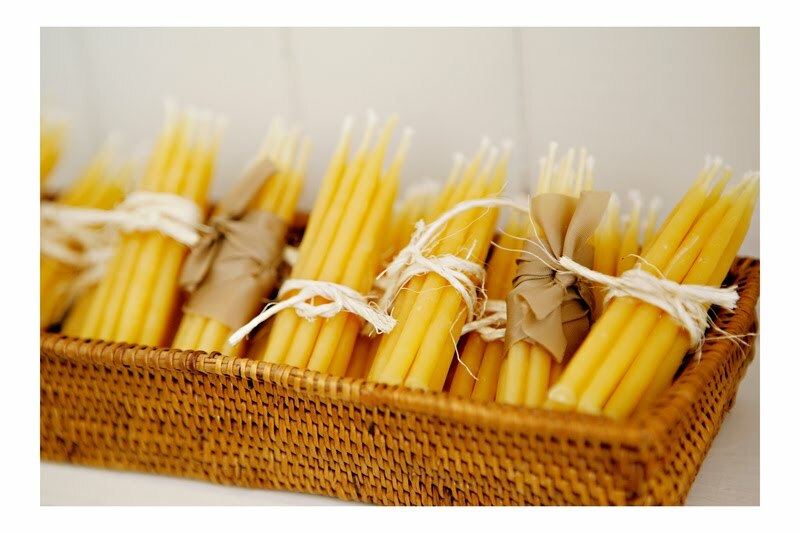 We like this better than pre-making them because it makes for a beautiful display, and is another activity for your guests ! This will be a lavish Brunch based on seasonal ingredients. The savory portion of the class will be taught by the super talented Marcey Brownstein and her staff. Dessert will be taught by the pastry chefs at One Girl Cookies. We are so honored to have this incredible group of chefs and teachers at this event. 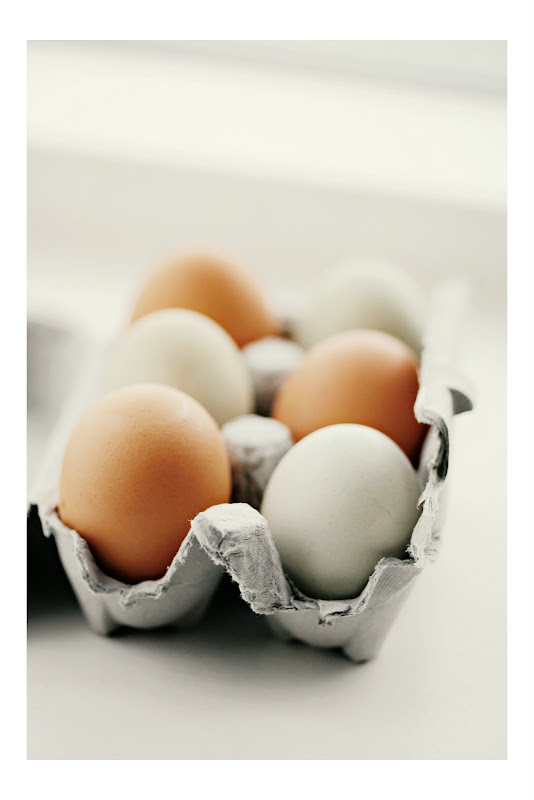 Hard-boil eggs, cool, peel, halve, and carefully remove the yolks; reserve the whites. 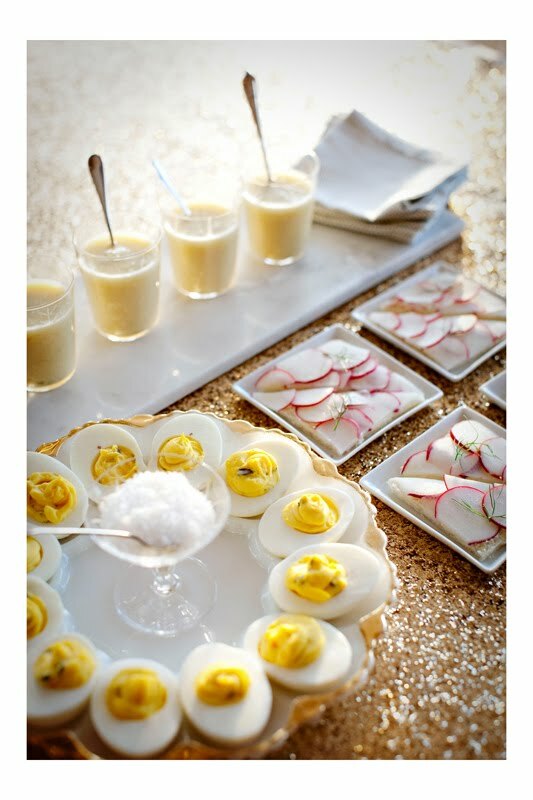 Combine egg yolks, mayonnaise, Dijon mustard, white truffle oil, and lemon juice in a medium nonreactive bowl. Season well with salt and freshly ground black pepper and mix well until yolks are broken up and ingredients are evenly incorporated. Evenly pipe or spoon yolk mixture into reserved egg white halves. As desired, top with thinly chopped black truffle. We love how delicately these tea sandwiches present themselves, and they are ridiculously easy to make. Pick a thin white bread and generously spread french butter over the surface. 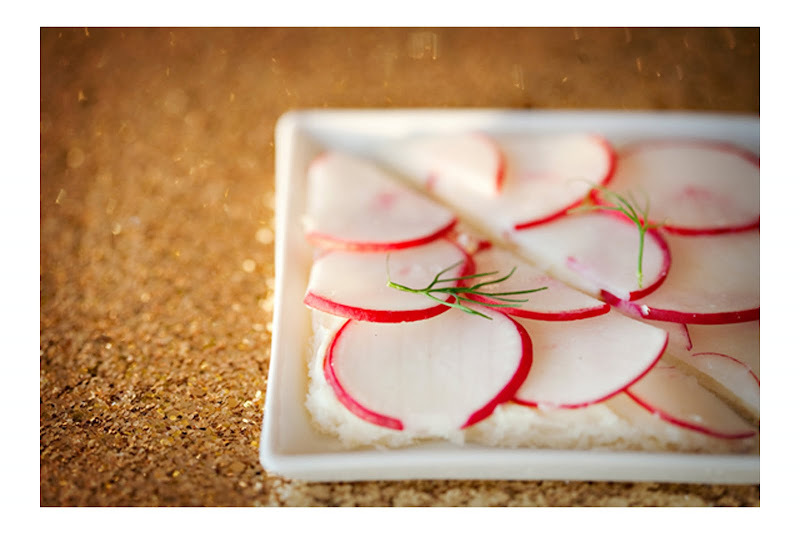 Top with thinly sliced radishes and sprinkle with sea salt. Slice diagonally in half and really, that's all ! Halve, core and chop fennel bulbs. Heat olive oil and chopped fennel over medium heat for 5 minutes, stirring frequently. Add potatoes and broth. Bring to boiling; reduce heat. Cover and simmer for 15 to 20 minutes or until potatoes are tender. Blend in a blender. Add cream, salt, pepper Heat through. 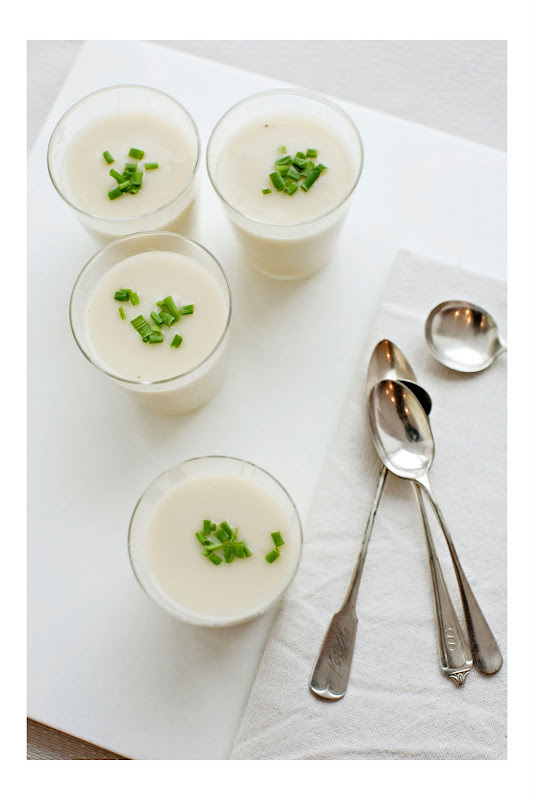 To serve, sprinkle individual servings with Parmesan cheese and a chive garnish. It's Valentine's Day this Sunday and there are a lot of unique dining options out there. 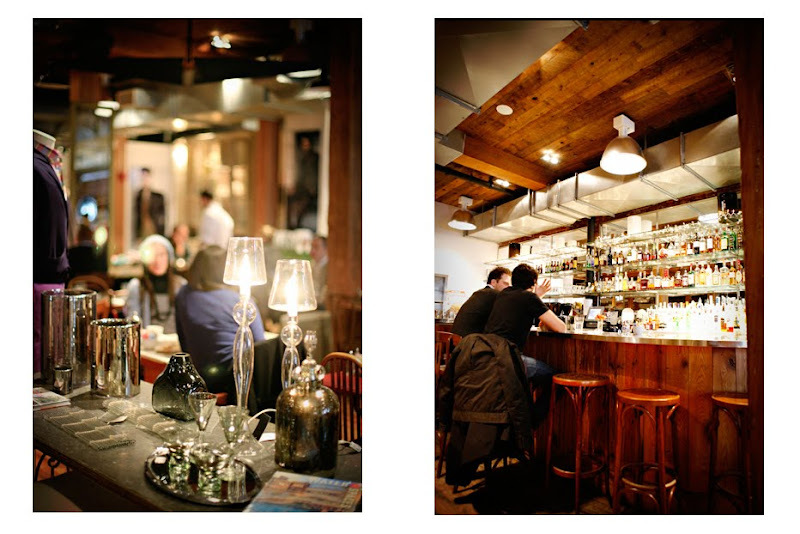 If you're looking for freedom from the fixed price menu, check out Travertine. This Mediterranean restaurant is serving free cocktails with your dinner and have included special items for two such as heart shaped ravioli. Make your reservations for 6pm to 9pm. 19 Kenmare Street. Two of our all time favorites have gone halfsies on a pop-up bakery. Liddabit Sweets and Kumquat Bakery are officially open now through Valentine's day. 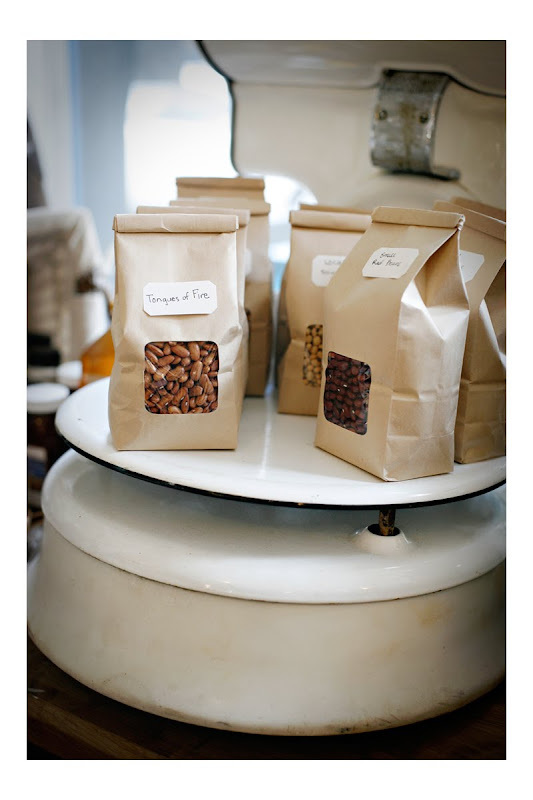 You can visit them from 10am to 7pm at 170 Franklin Street in Brooklyn and take home some famous mini cupcakes, organic local candy bars and much more. Lastly there is a chocolate festival going on as we speak. For the list of many events check out this Chocolate + I Calendar. We're excited over here this morning because you can find our work in hard copy--the NY Post Page Six Magazine (free inside your Newspaper) ! So pull on your snow boots and scamper over to your closest bodega for a copy. An editor approached us and asked that we create an Oscar's party. 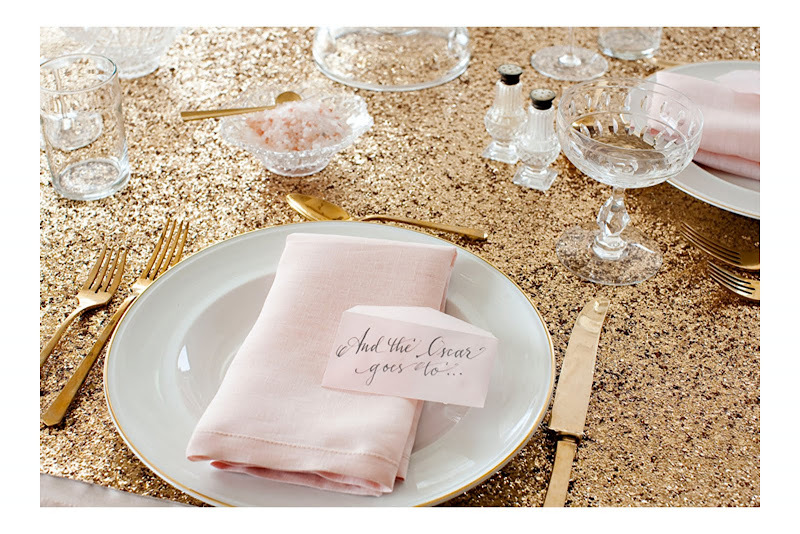 Our friend and the very talented Randi Brookman Harris joined in on the styling, and as you can see we went for delicate and feminine glitz and glam. Perfect for Hollywood + February (if we do say so ourselves). We'll be posting about it for the next few days, so come back for recipes and tips. We think you'll enjoy the DIY ideas whether its for the awards next week, a girly birthday or any other excuse to celebrate. 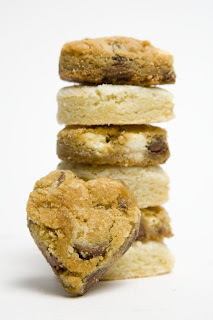 Have you figured out how to satisfy your sweetheart's sweet tooth this weekend ? If not, you still have 4 days to shop, and we have a few sugary suggestions. At Heartbreaker Baker send unique cookie flavors made of nothing but the perfect middle--in heart shape of course. Sent express from Brooklyn, they need just 72 hours warning. 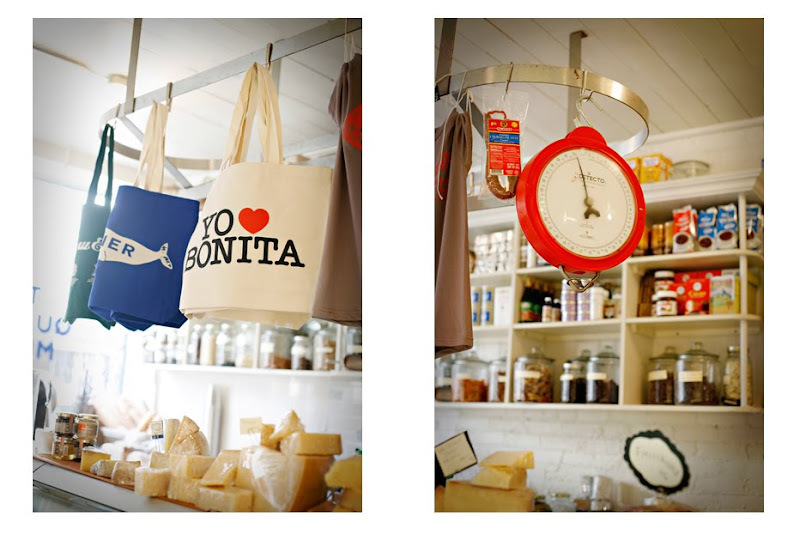 If its more than a cookie you're looking for, Brooklyn Larder promoted their counter girl just in time. Now in-house baker, treat your Valentine to the likes of her delicious pistachio and buttermilk cakes. Magnolia Bakery will happily spell out love in cupcakes, and if you're looking for a calorie free gift who can resist a heart full of succulents ? But if your sweetheart would rather get his/her hands dirty in the kitchen, we heart simple and timeless tools like this and this. 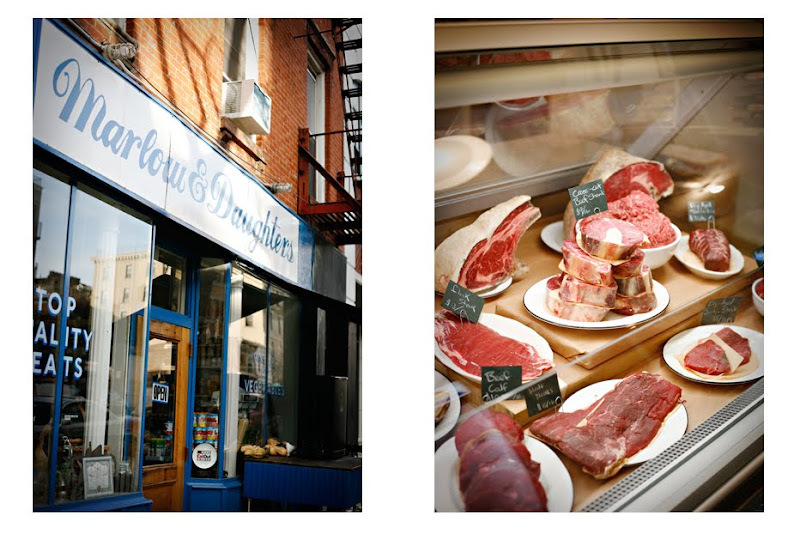 This is a favorite stop of ours, conveniently right around the corner from Sunday Suppers HQ. 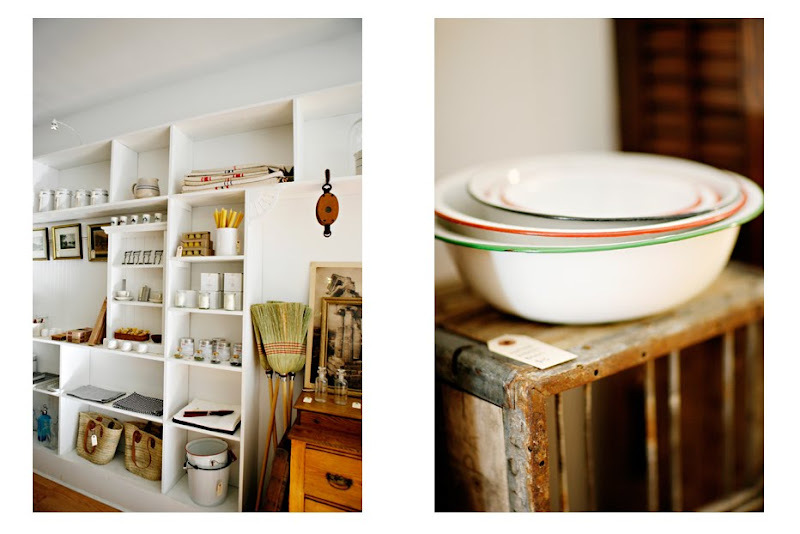 Brooke Farm has a fantastic eye for rustic vintage pieces that are right up our alley. 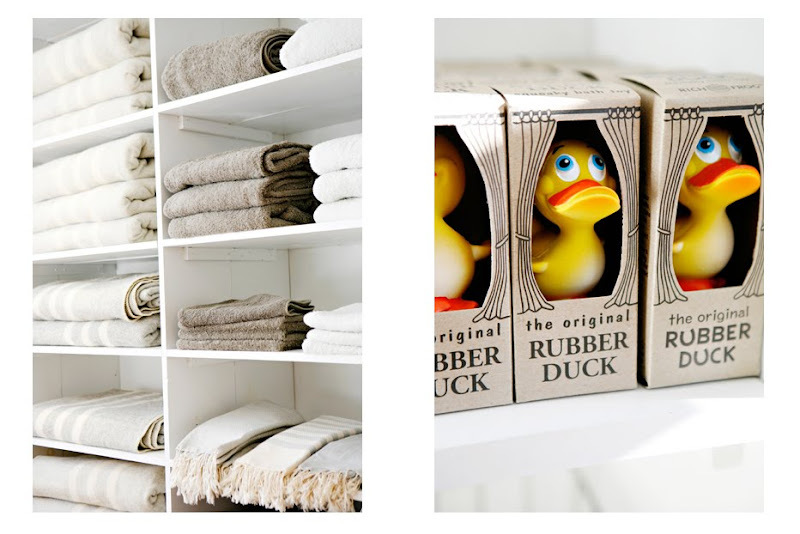 The adorable Rubber Duckies you see are made of natural rubber and hand painted with nontoxic paints—a gift made and given with lots of love. 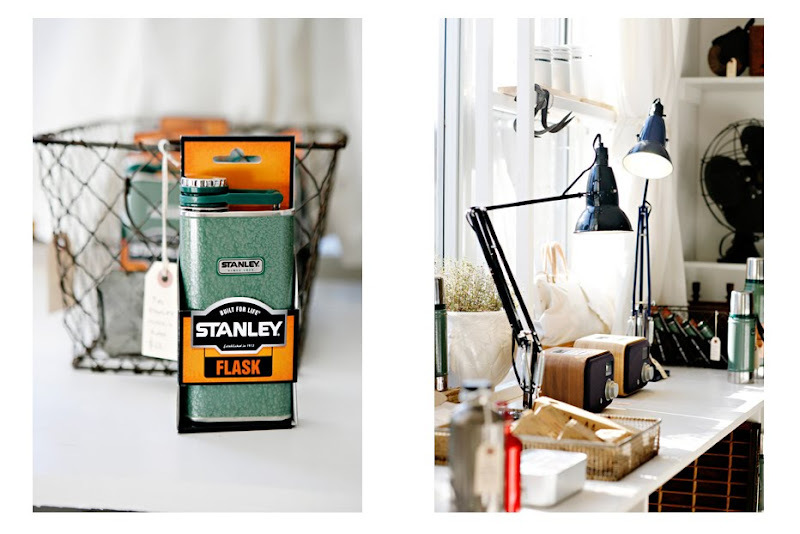 And how much fun is this Stanley Flask ? We think it's perfect for the guy’s guy who enjoys the simple things in life. Truth be told much of the décor you see in the dinner posts is from here. 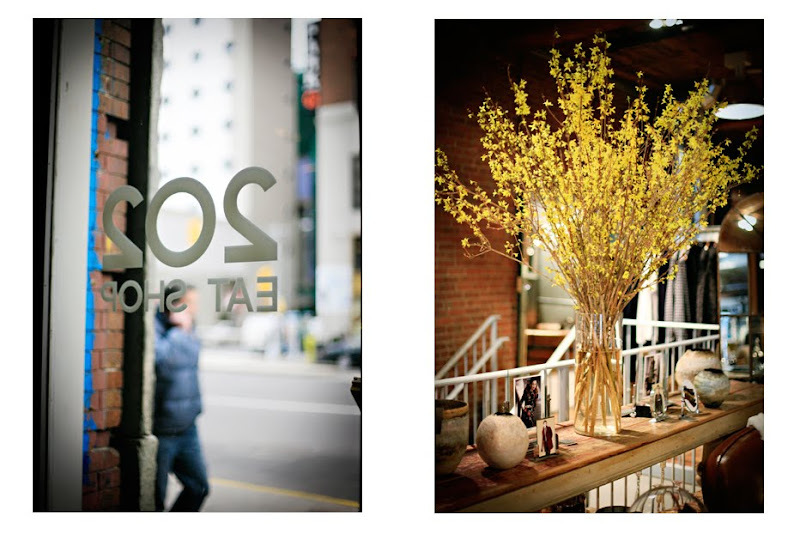 We highly recommend you stop in their space on south 6th Street in Williamsburg. 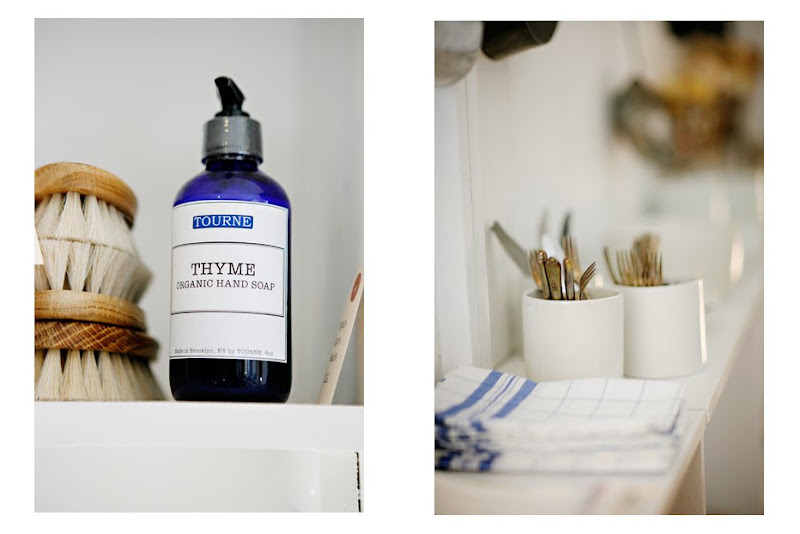 The airy white shop is filled with ironstone jugs and Turkish towels, wire racks and vintage mirrors—we never leave empty handed. And nope, sorry, Nutmeg the pup is not for sale—we wish she was. She will however, give you lots of free lovin during your visit. Chelsea wine vault is well known for their educational wine tastings, but they seem to be spicing things up a bit with Mezcal spirits—a dear friend of Tequila. Warm up with this Mexican spirit, and learn about it too. Friday night from 6:30 to 7:30. It costs $45, and you can sign up through their site. If you’re not into the Superbowl, but are into good causes and critically acclaimed chefs, purchase a $350 ticket to visit David Chang’s Ma Peche, where he and Alice Waters will be hosting a cocktail party to benefit and launch the east coast branch of her foundation, Edible School Yard New York. Both Chang and Waters will be there and the hefty price tag will support a great cause. 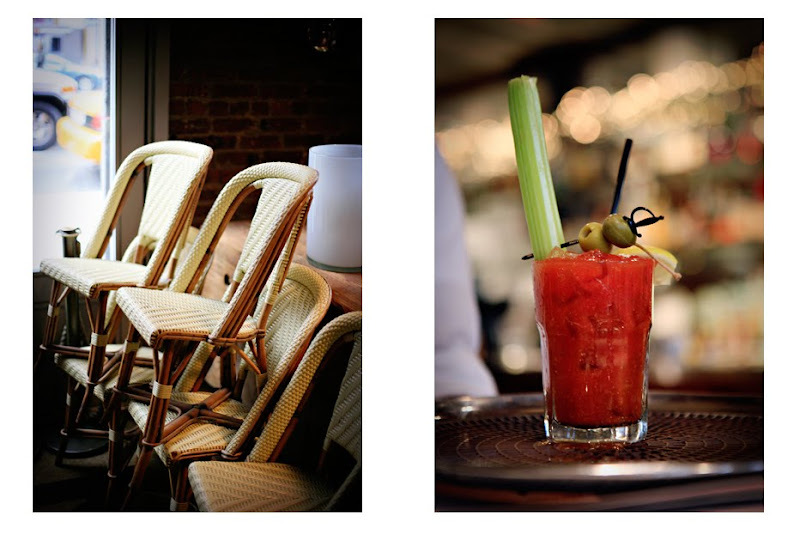 6:30 to 8:30 Sunday February 7th at Ma Peche, 15 W 56th Street. Monday February 8th join a slew of the most current and talked about chefs for the debut of a new dining experience : ELEMENTS. ELEMENTS is described as “a ground-breaking, interactive dining experience open to the public where top chefs, winemakers, coffee roasters, and master mixologists will display and explain the physical and chemical changes that occur in food when exposed to the natural elements of fire, water, air, and ice.” The first experience will be held at The Great Performances Kitchen, 304 Hudson Street, at 7pm. Tickets are $150 and must be purchased in advance, click here for more info. And even though this is a weekend guide, we thought it important to mention that Clinton Street Baking Co, is underway with a delicious pancake month from Mondays through Fridays. From chocolate + blood orange to brown sugar pecans… We’ll at least be drooling about them over the weekend. Here is an easy use of all the lovely greens in the markets. The dressing is very light and refreshing-- this salad will fit into your New Year cleanses very nicely. Whisk all ingredients of the dressing together. Use a mandolin to slice radishes thinly, chop onions, allow these to marinate in the dressing for about 10 minutes, and mix with winter greens. Add black sesame seeds and toss again. Serves 4 ! If we didn’t tell you to, you would never know to stop here from the outside. 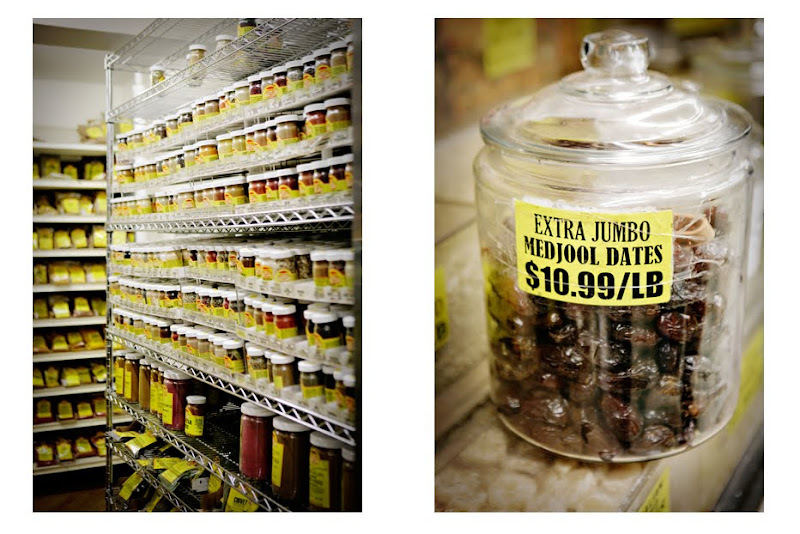 Kaluystan’s is not boastful, but this Mecca of spices and more is a must know for all cooks in New York. With more spices, beans, rices, syrups, honeys, salts, nuts, we could keep going, than you could ever imagine under one roof, you’ll never be able to buy only what’s on your list. Thanks to Kalystan’s you won't shy away from recipes with unknown ingredients. And even more exciting is that they now offer thousands of their ingredients online for cooks everywhere. We promise, they have it. This midday meal is easy as pie when made for one or four or five. It is so simple and wholesome, but feels like a comfort food indulgence—a great midwinter breakfast, lunch or dinner. 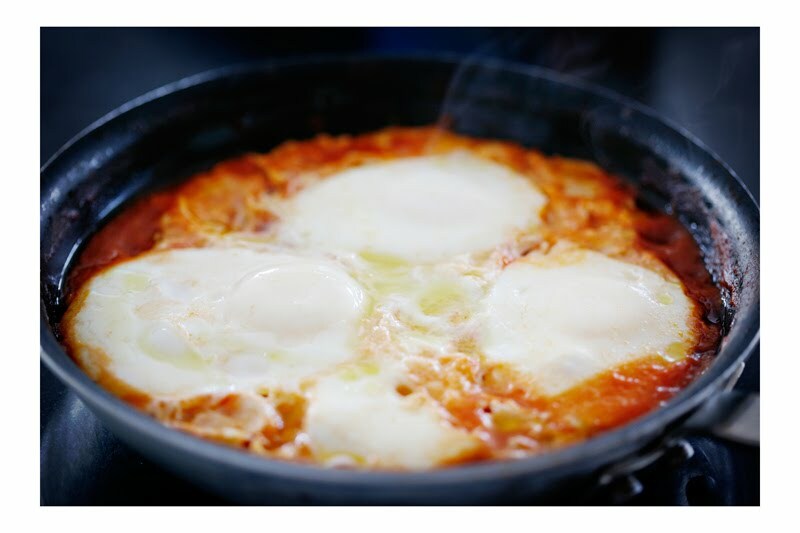 Shakshuka is a North African dish consisting of poached or fried eggs cooked in a sauce of tomatoes,onions, and spices (you may add peppers, and spices to your liking). It is often served communally in a large skillet, with a nice warm bread. Because we’re giving you proportions for 4 people you will need a large skillet to accommodate all the eggs. Downsize your skillet according to your egg quantity. Sauté the Garlic and onion in your olive oil till onions are fragrant and translucent. Add crushed tomatoes, fresh tomatoes and Harissa, and cook the sauce down on a medium heat for about fifteen minutes. Add 8 eggs cracked directly into pan. Drizzle olive oil lightly over them and add coarse salt and pepper to taste. Cover and cook for 5-7 minutes.